There are so many slings and baby carriers on the market, it can all get a bit overwhelming! 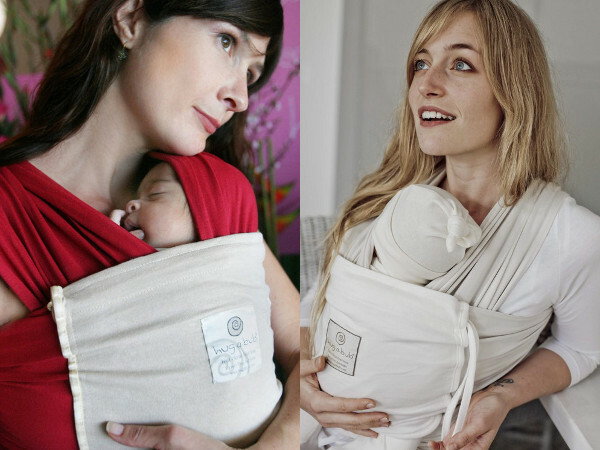 Hug-a-Bub is a name which by now is synonymous with babywearing, but we wanted to give you a bit of a rundown on two products – the Organic Hug-a-Bub Wrap Carrier and the Traditional Ring Sling. The Organic Hug-a-Bub Wrap Carrier comes in five different colour combinations and prices start at $89. Because it is essentially a very large piece of material, there are no buckles to worry about and no seams to potentially catch or tear. Hug-a-Bub say there is no real weight limit for the children you can carry – “as long as you still pick them up – they will feel lighter in a Hug-a-Bub”. Once you get the hang of the different carrying options available (and there is an accompanying DVD which will make you an old pro in no time), there is tremendous versatility with this kind of carrier. Hug-a-Bub also sell a ring style sling, which is a lightly padded customisation of traditional ring slings. It can be worn in five different positions and can carry newborns through to toddlers weighing fifteen kilos. You can buy the ring sling for $109 from Hug-a-Bub. In fact, if you can’t decide between the two carriers, they even have some bundles where you can pick up both for a significant discount. Have a look at Hug-a-Bub’s online store for all the options available. We’d love to hear comments from Babyologists who’ve had experience with a Hug-a-Bub carrier. What did you like about it? Would you recommend it to a friend? Need to brush up on baby carrier basics? Check out our previous posts.